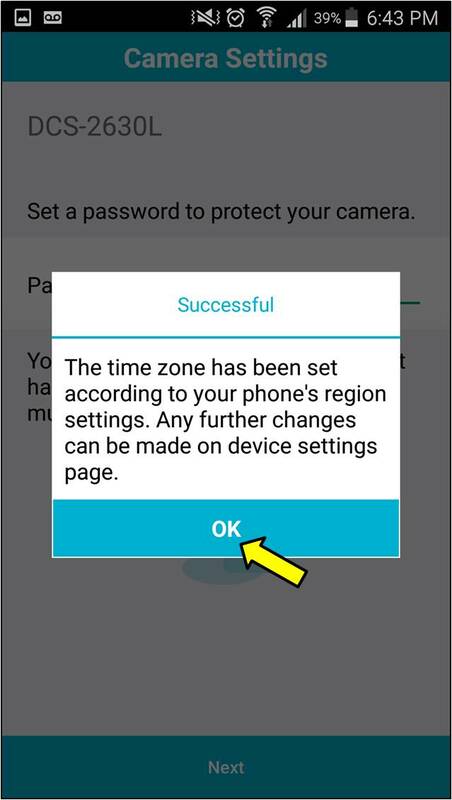 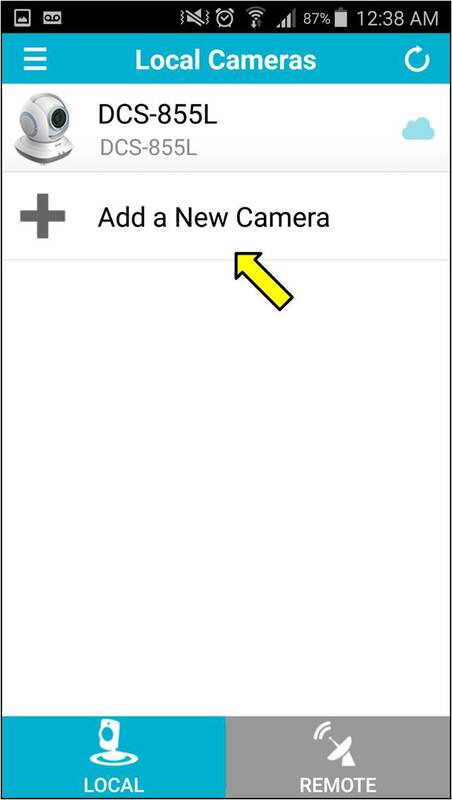 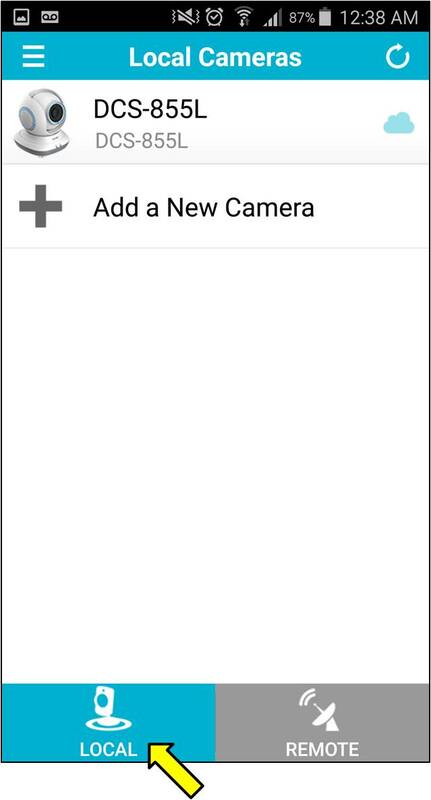 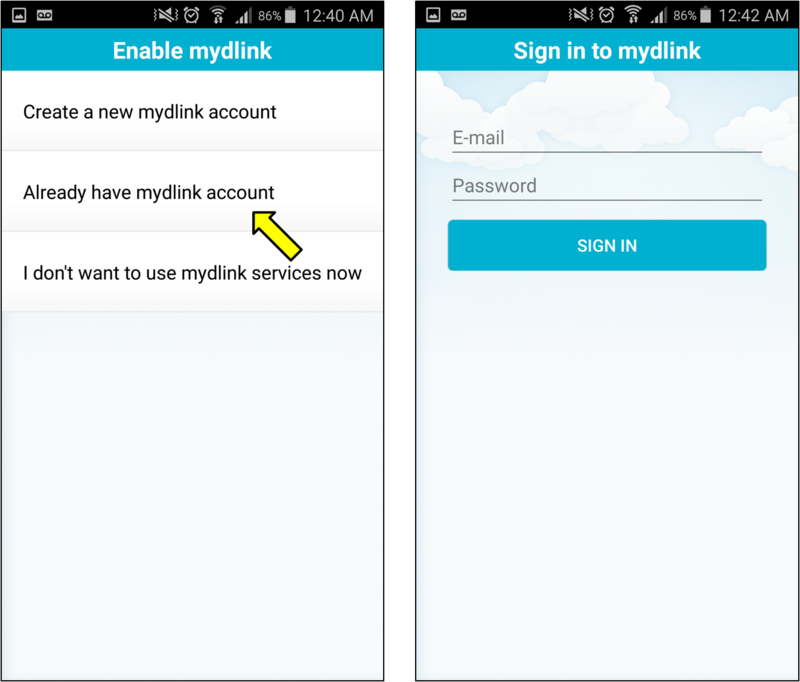 How do I set up and install my camera using the mydlink lite app? 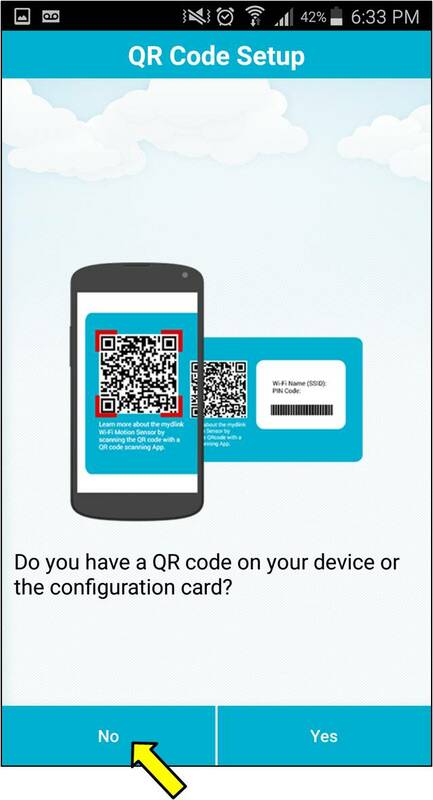 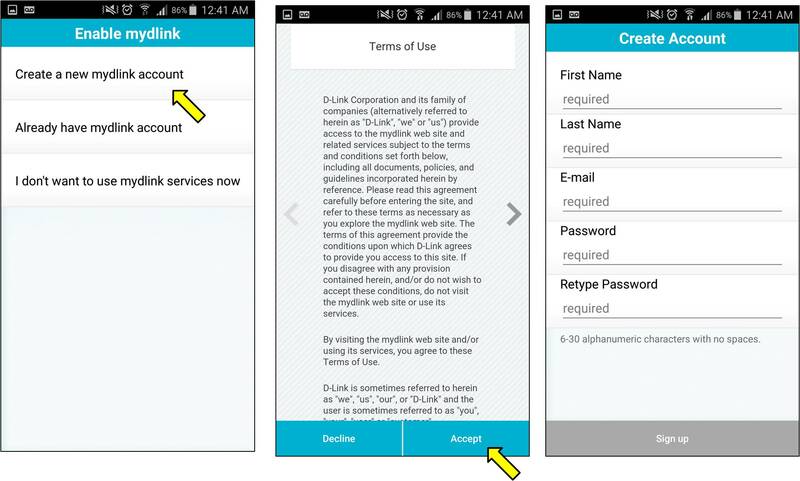 Step 1: Download and install the mydlink lite app on your Android OS/Apple iOS device. 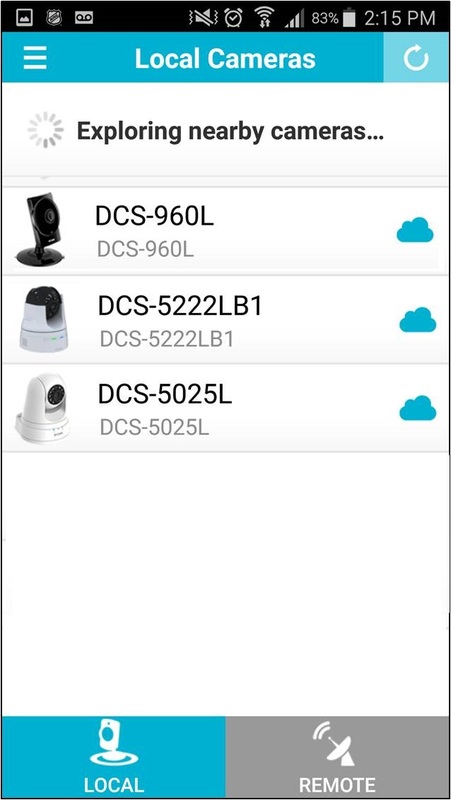 NOTE: This example shows the setup of DCS-960L using Android OS. 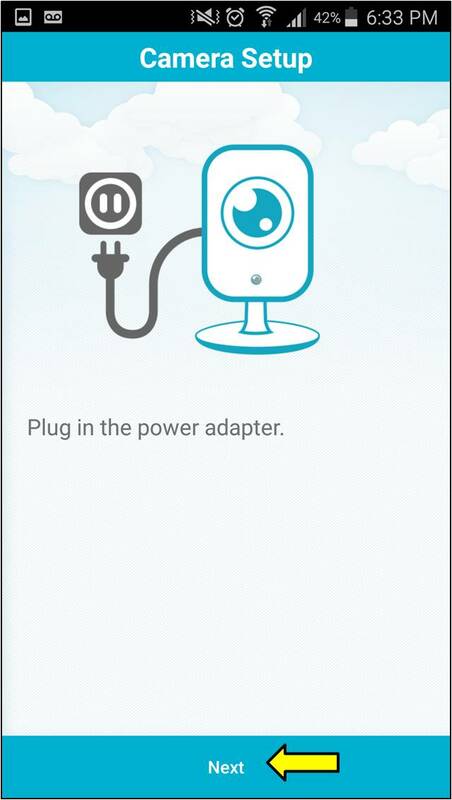 Apple/iOS setup should be the same/similar. 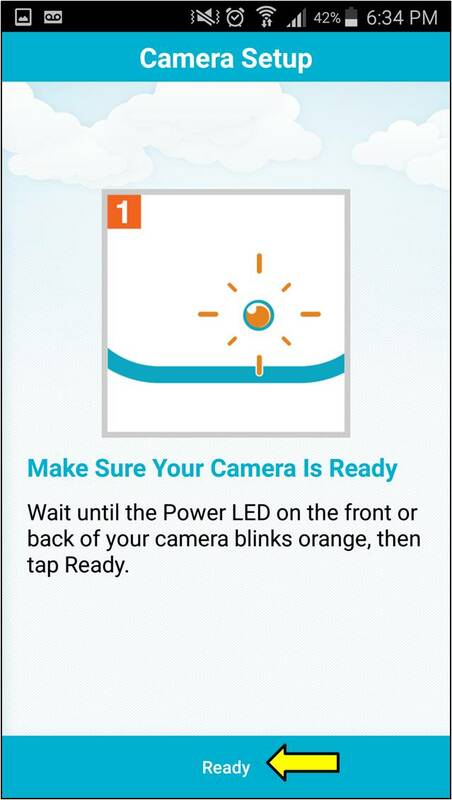 NOTE: The steps will be the same for any mydlink enabled camera without Ethernet port. 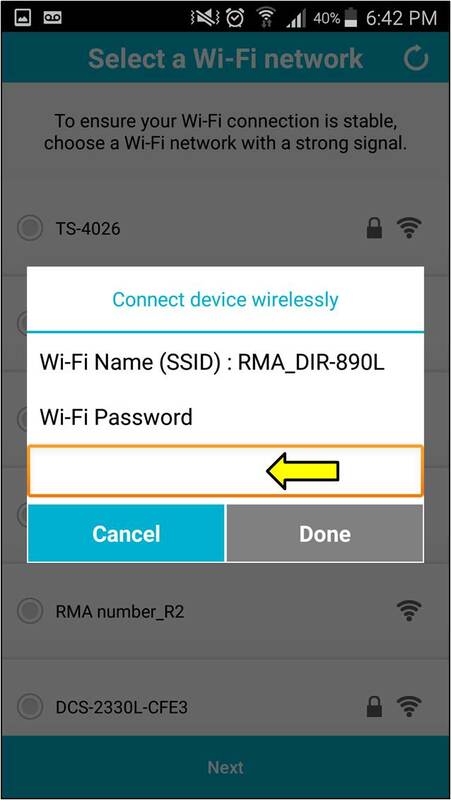 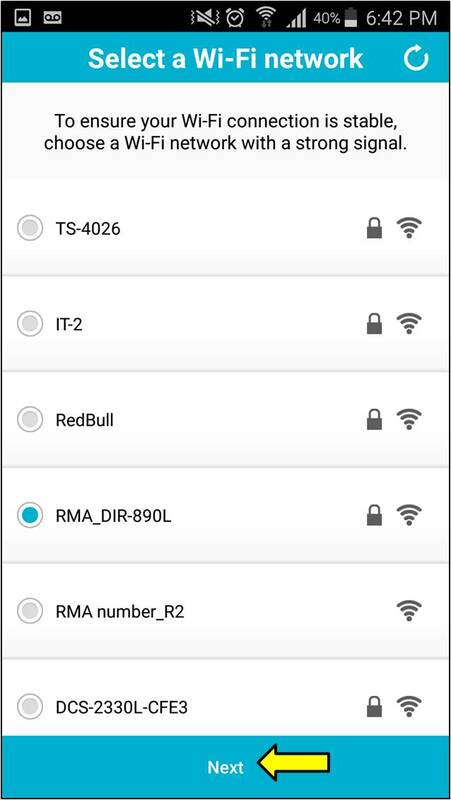 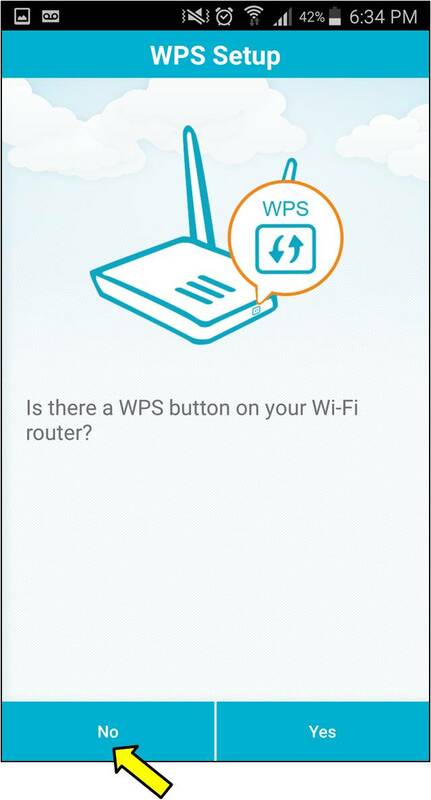 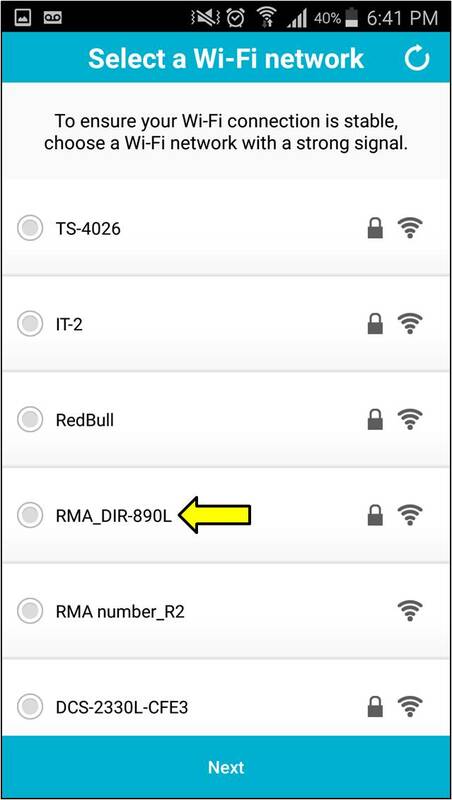 Step 10: Enter the WIFI settings for your DCS-960L and Tap Next. 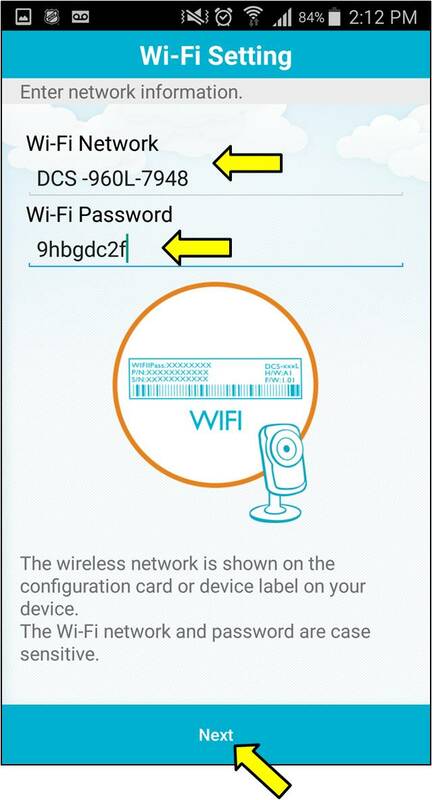 This information can be found on the bottom of the camera or on the WIFI configuration card that came in the box. 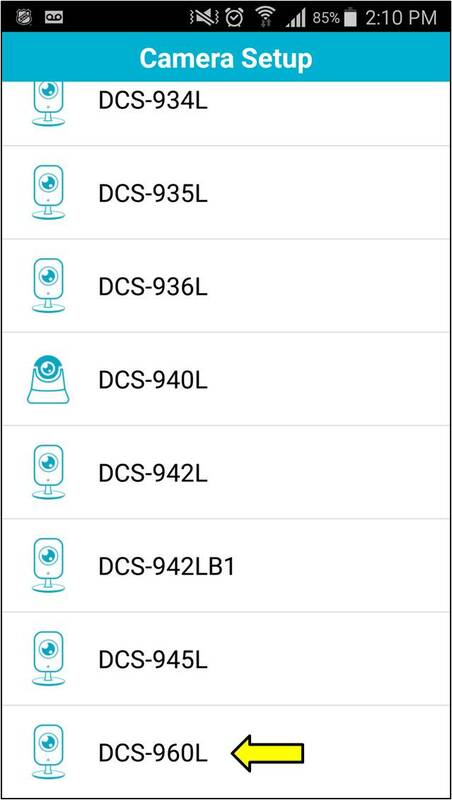 Step 14: Create a password for your DCS-960L. 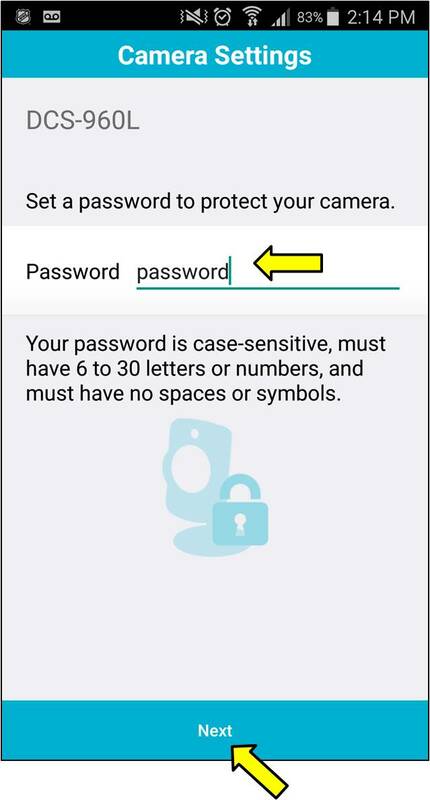 This password is used for configuring advanced settings in the camera through its web interface.